I found out that I won the challenge over at Color Me Copic. Nancy McClelland of "Design Inventions"
This is my card that I used and I won 7 images from Bugaboo. I tired to post this card last night and for some reason my blogger was not playing nice. Well, I've re-started my PC and here we go. This card is just for fun. I used the Twiggy image and went a little into the holiday season. 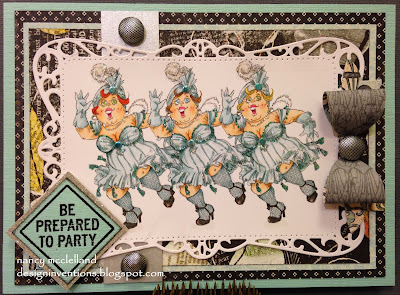 As always I pulled papers from my scraps to pull this card together. My card features a birch tree and deer die from Taylored Expressions. I love both of these dies and they make such an impact. A very simple card that just required a few layers, a sentiment and a bow. I hope you go over and visit The Outlawz blog and see what the DT's have shared on the Greetings Team. This week also is an 'Anything Goes', so go for it! I recently took a couple of days of me time to craft with my sister. We usually try to get together at least a couple of times a year and it was greatly needed. 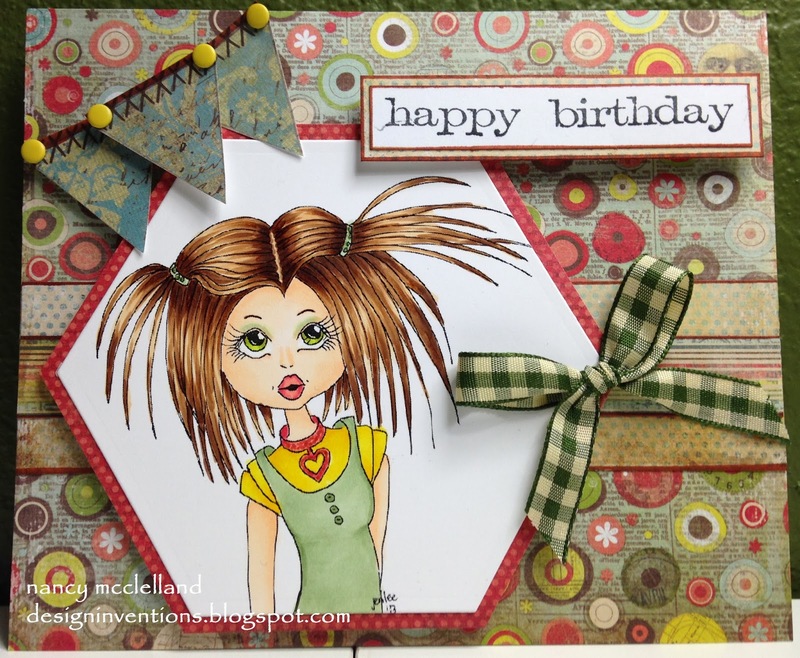 My nieces birthday was yesterday, the 26th and I made this card for her during my craft-cation. I love this digital image and especially her hair. I chose my paper first this time, then colored my image. Happy Birthday Sarah! Hope you had a Great Day! It's Saturday and time for another addition of Hiding In My Craft Room. 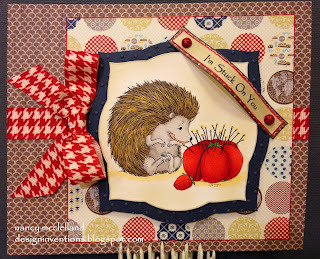 This weeks challenge is HIMCR #121 - Use a Critter! This can be a stamped image, a digi image, a cut out image, any Critter! A cuddly critter, a crawly critter, a flying critter, any critter! 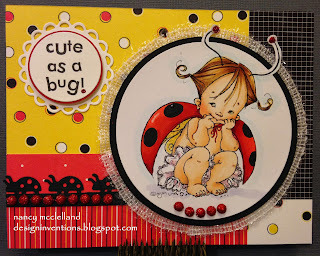 I got to use one of those favorite Critter stamps from Mo Manning. I love these images and this little guy was just what I needed for today's challenge. So is he a Porcupine or a Hedgehog? Not sure but he works! I thought the sentiment was perfect. You must stop over at HIMCR and check out the other projects from the talented Design Team. You have until Saturday, November 2nd at 2AM Pacific time, to link up your creation to get entered into the giveaway this week. When uploading to online galleries please use code HIMCR121. 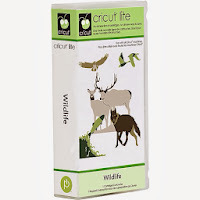 The giveaway this week is a Wildlife Crciut Lite Cartridge! I'm off to Craft with a group of ladies today at our Meet-Up group, so maybe I can post a few pictures later. Have you ever looked at an image and you knew exactly how you wanted to color it? Well, that's what happened to me when I saw this Kenny K girl. I knew she was going to have red hair, then I planned her clothes. 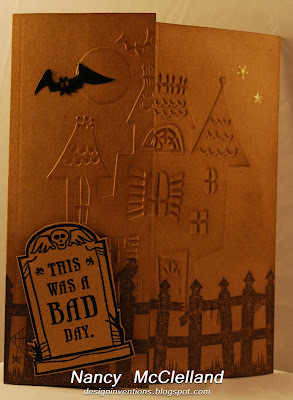 I have some Washi Paper 12 X 12 sheets so that's what I used for the black and white background. I picked out a couple more DP and some bling to finish her off. Don't you just Love the sentiment? I found this digital image the other day and it really looked like something I wanted to color. 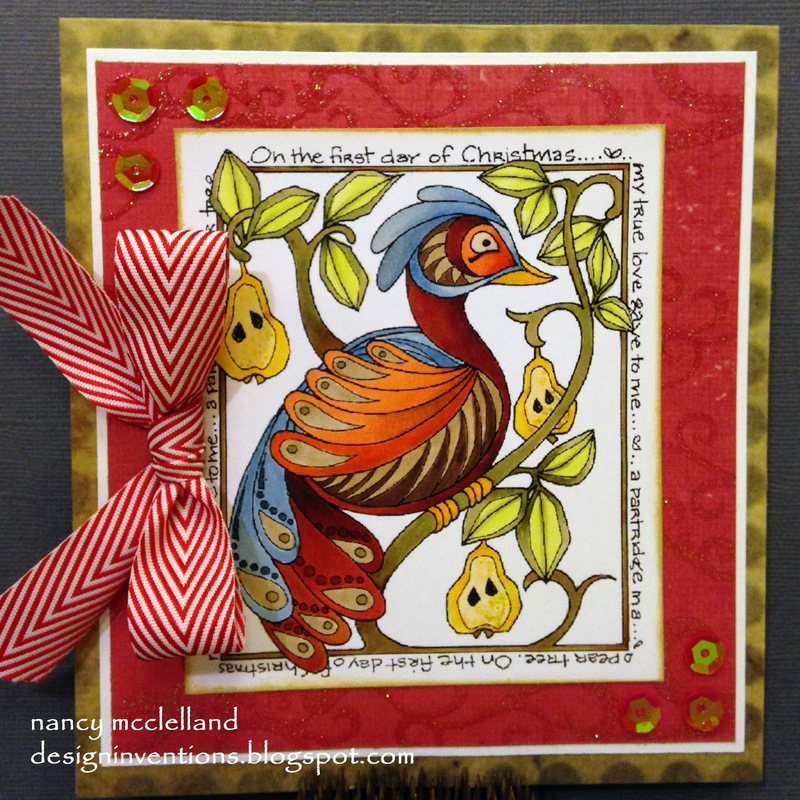 I wanted to keep the finished card simple, so I colored the bird and layered the image on several pieces of pattern paper. 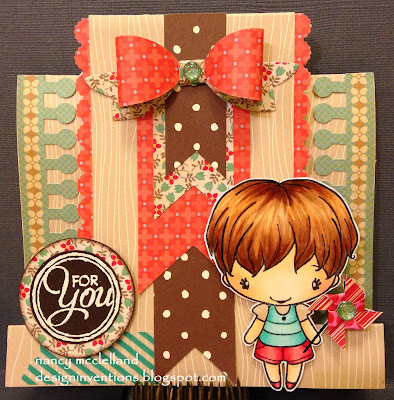 The Chevron ribbon that I used for the bow is from Amuse' Studios. I have an extra card that I finished after some of my DT work, so I thought I would share it today. Its a basic Pumpkin image and I decided to add a little twist of Purple. Actually it was laying on my desk along with the ribbon so I decided to put something together. 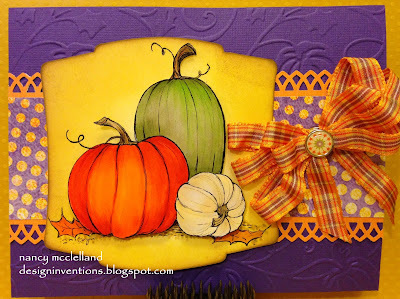 Its pumpkins, pumpkins, and more pumpkins over at The Outlawz. 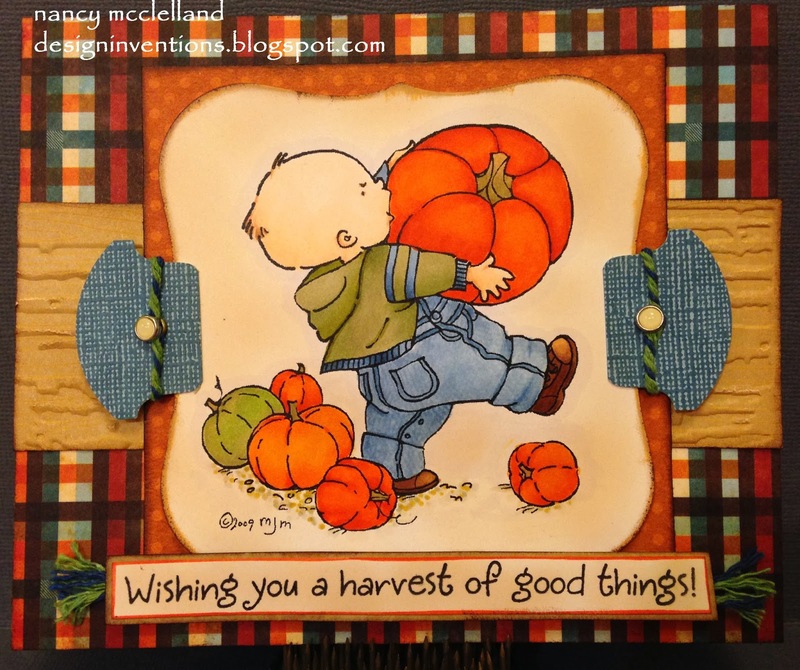 This weeks challenge has to have a Pumpkin on it and of course a sentiment. 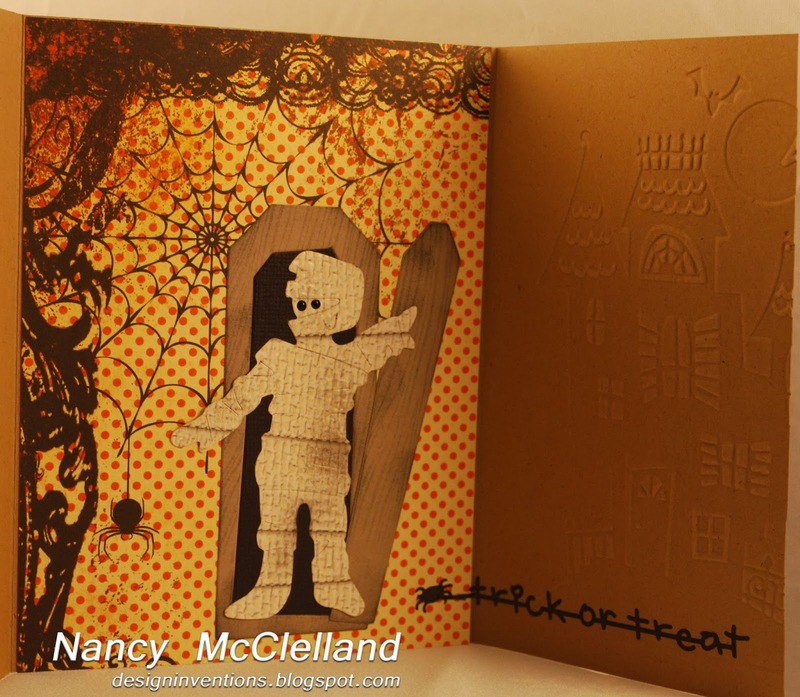 The Greetings Design Team has outdone themselves with inspiration projects. He's my DT card for the week. This is another famous Mo Manning image and I usually find myself coloring it at least a couple of time during this time of year. Please hop on over to The Outlawz and join the fun.  Today I have a second post because 2 of my Design team Challenges have new post starting today. Create your own challenge chart. You must use 1 - 3 items from every column. I realized after I got started that it really wasn't that hard to use something from each column, but I did have to be careful not to use more than three. Our sponsor this week is Kenny K, and this is 'Happy Holidays' digital image. I had a great time coloring this and really like the way the card turned out. Well it's time for another Challenge at Hobbycutz and this week we want to see anything but a card . 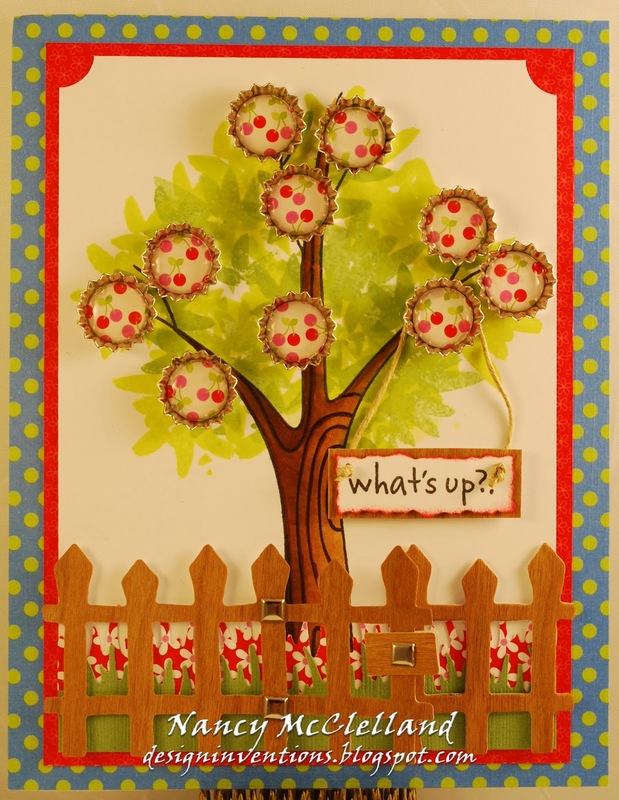 You can make a home decoration, scrapbook page, gift item, so that certainly opens it up for many things. 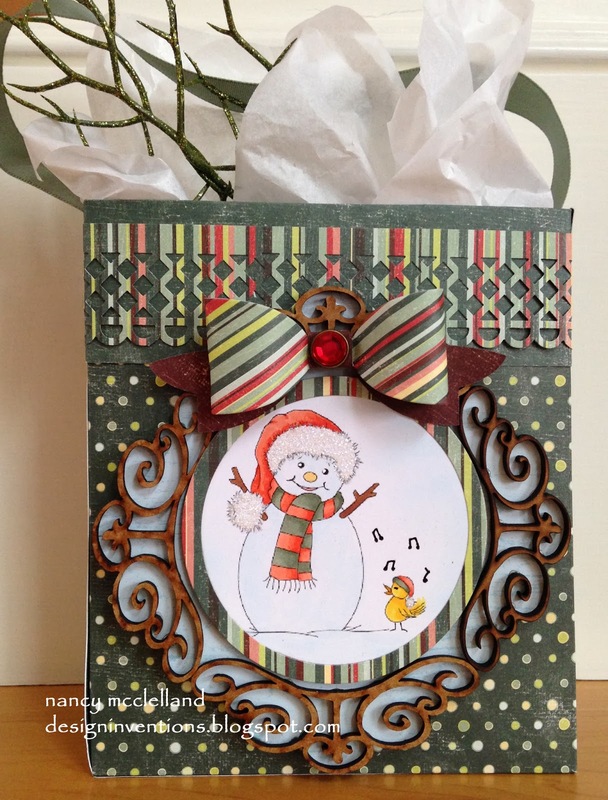 Today I decided to feature a gift bag that you can make using 2 pieces of double sided paper. I started with matching 12 X 12 sheets. 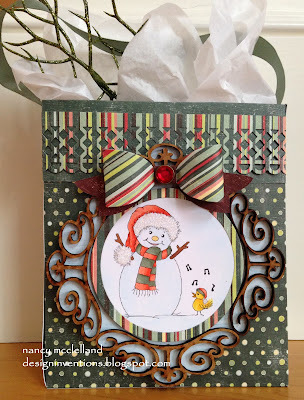 I used a paper that would coordinate with my fun Snowman image. I used 4 Hobbycutz pieces to make a frame for the image. I chose another paper to make a border for the top of the bag using a Martha Stewart punch. I added the paper bow, and it's ready for a gift. Score each sheet as shown on diagram and make the cuts per instructions. Fold along all scored lines. Fold 2” flap along top in opposite direction. Assemble bag by interlocking scored lines along sides and bottom. Adhere side flaps and bottom flaps. Punch holes on the side to add a ribbon handle, you can also use a paper handle or no handle at all. Embellish and finish as desired. This is my first post today, so be sure to check back a little later for round two! Happy Saturday! We have a really fun challenge over at Hiding In My Craft Room and another great giveaway for you this week! Here is my card for the week. 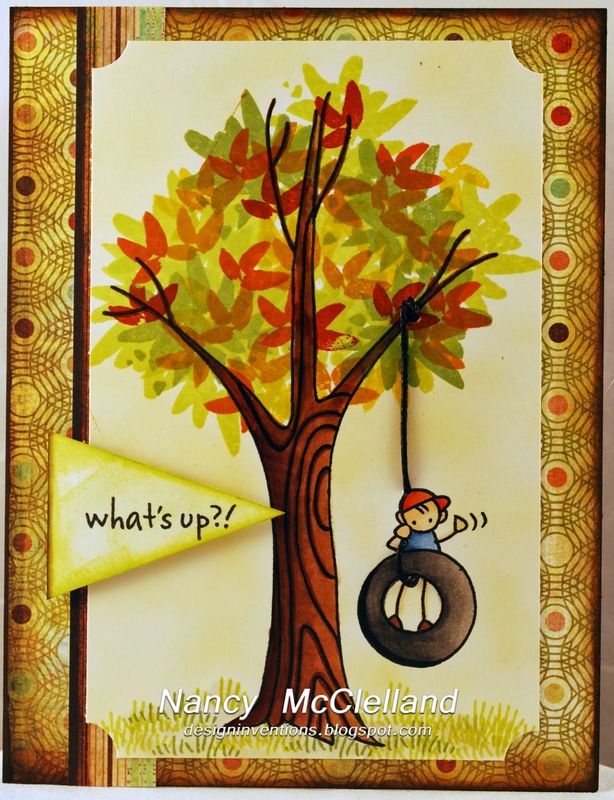 I love this Greeting Farm Image and this Graphic 45 paper I used. It has been designed on a step card base just to give some dimension. I have colored my image using Copic Markers, any surprise?? The challenge is HIMCR #120 - Color It! Time to get out those markers, Copics, color pencils, chalks, crayons, whatever! The giveaway this week is going to be a Set of 3 Copic Markers - A Color Fusion Set! The winner will get to choose from set 1, 3, 5, or 6. These are great to either add to your collection or just getting started. 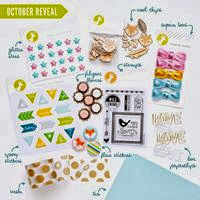 Hop on over to the HIMCR blog and read more about this great prize. That's our challenge this week, so we hope you can have some fun with it. I think these ladies are so funny. I decided they should have matching outfits with lots of sparkle. Not sure it shows up in the photo, but I used plenty of Stickles! 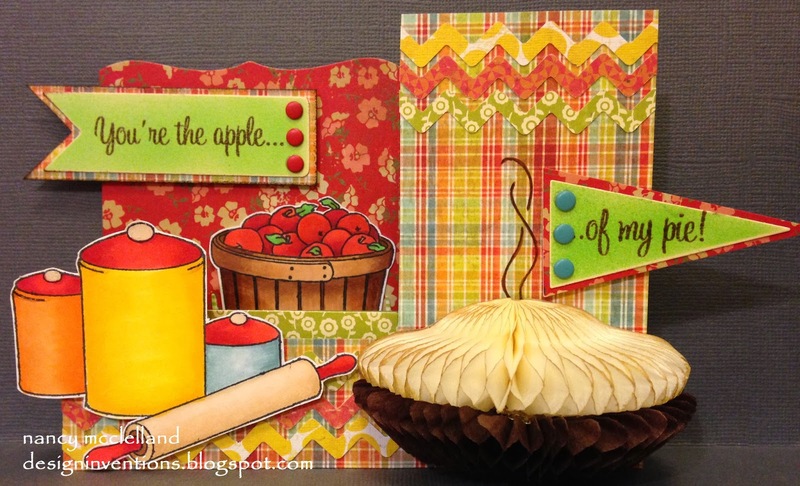 Please go over to Creative Corner and see what the DT's have in store this week. We also have a couple of guest designers from Rick St. Dennis. Well the chill has set in and it was a cold and dreary day here in Iowa. This is supposed to be the peak weekend to see the beautiful colors of the leaves in our area, so I'm sure the highways will be busy and the camera's will be snapping those pictures. I put together a quick card to share using Tim Holtz blueprint stamps, it focuses on the leaves and acorns. I colored with Copic Markers and then used several colors of Distress Inks to add shading. I hope you enjoy the fall season this weekend. Well it's 'Hump' day and I guess I should be featuring a Camel if I'm going to say that. Not! I don't have a Camel image so here's my choice. I stamped 2 images the other day, using one for a project and then having this sweet little image left over. This is Twirl Anya from The Greeting Farm. 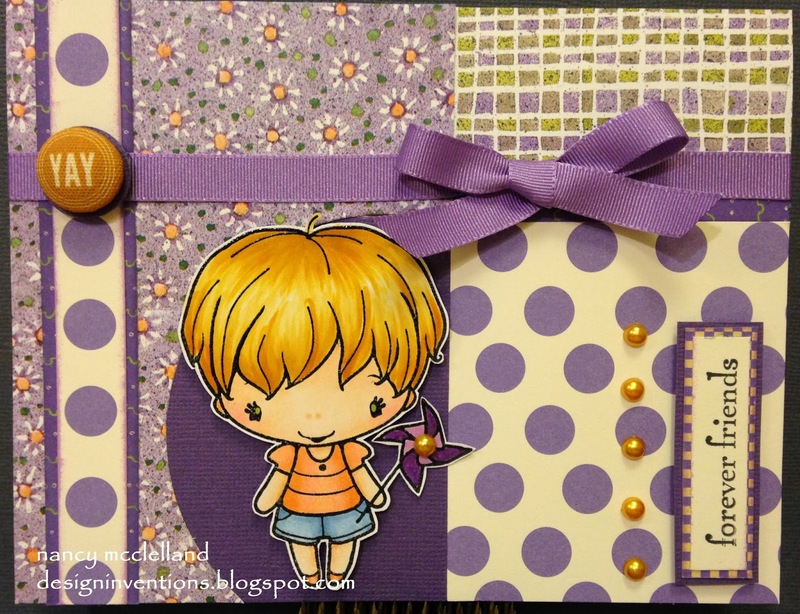 I used my famous scrap stash and decided to pick purple. Not a color I would normally pick, but I stepped out of the box and went for it. The fun cloth 'YAY' button is from my Freckled Fawn goodies and it worked perfectly for this project. Doing a little cleaning before I tackle this weeks projects and I started this card with a piece of paper I altered a couple of weeks ago. 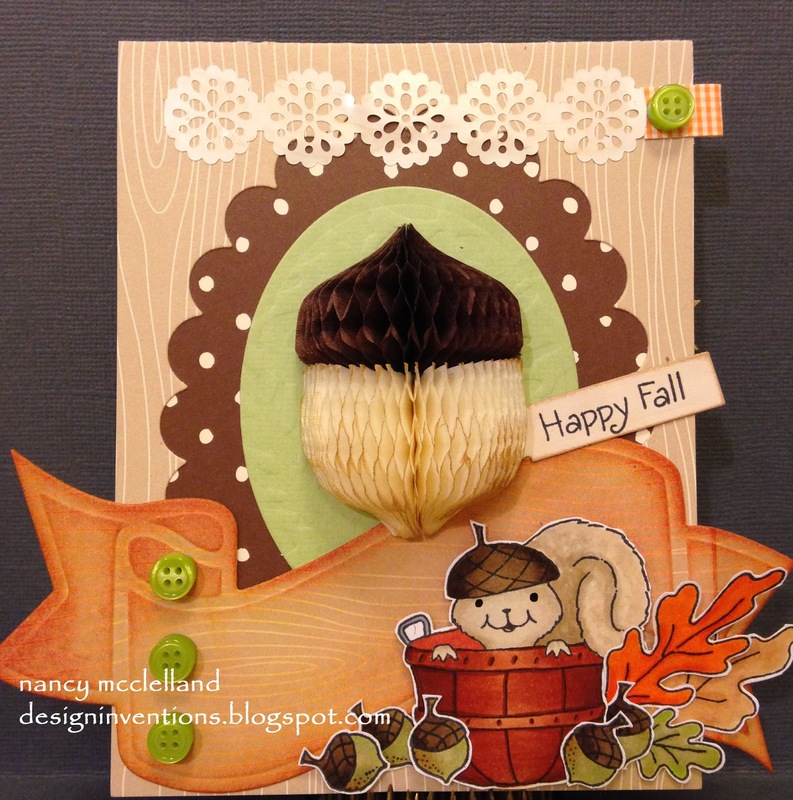 I started with a beige woodgrain paper from Amuse' Studios. 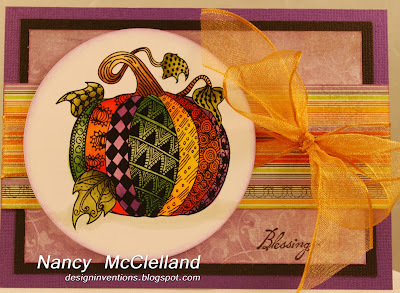 Using a basic resist method I stamped the swirl background stamp with clear embossing compound then started layering Distress Inks to achieve the color I wanted. Having the black modern leaf and some border papers left from a project ,I just started putting it all together. Finally I added the black ribbon and the flowers. A little bling in the middle from Frecked Fawn. The Dream sentiment is from black letter brads. Very basic, simple card but I hope it inspires you to pick up a few pieces and see what you get. It's that time of the week again for the Greetings Team to offer up their inspiration. 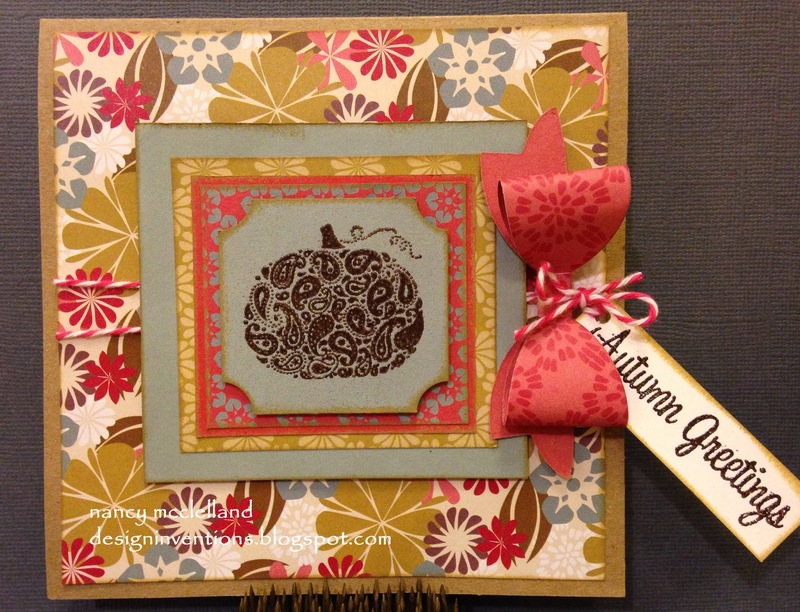 The Outlawz want you to show us your projects using at least 2 pattern papers. Just remember you have to have a sentiment but other than that, anything goes. Thanks for stopping by today and hop over to The Outlawz and see the DT inspiration. 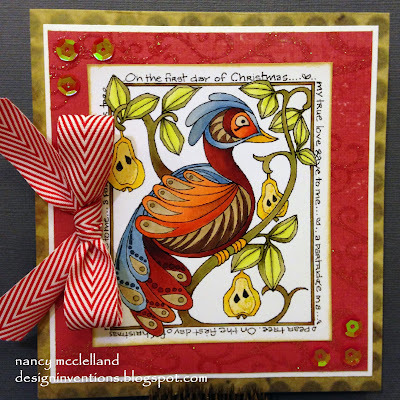 Well I told you the other day that I've been working with my many HoneyPop stamps to see if I could find different ways to use them. Well I pulled out this fun Squirrel set and started playing. So this is the front of the card. 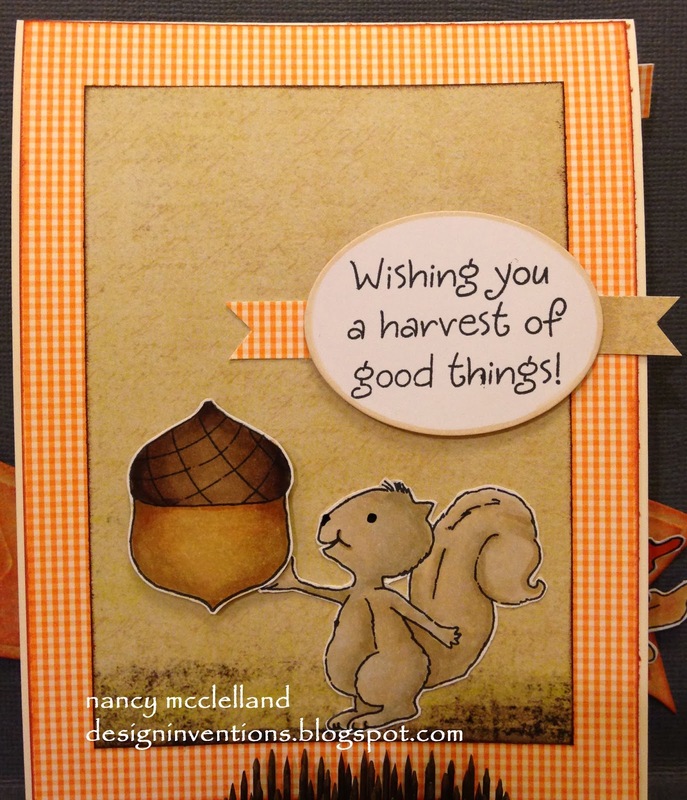 I decided to make the Honey Comb Acorn the center of the card. Adding a few fun layers of scrap to the base. 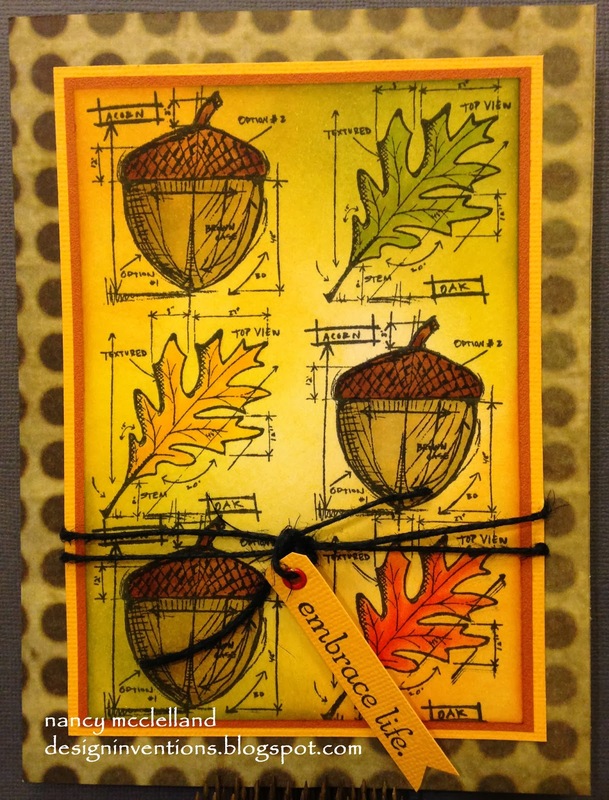 I stamped all the images from the set and stamped several extra small acorns. I took the opportunity to use several of my favorite Amuse' Studio papers and the large banner thats been in my stash for a few weeks. I rarely do anything to the inside of my cards, as I like to keep them clean and simple. 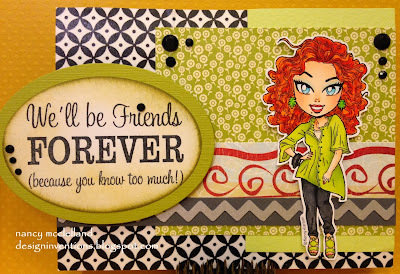 Well, this time I had several images left after I stamped and colored them all, so I added them to the inside. I love this little squirrel. 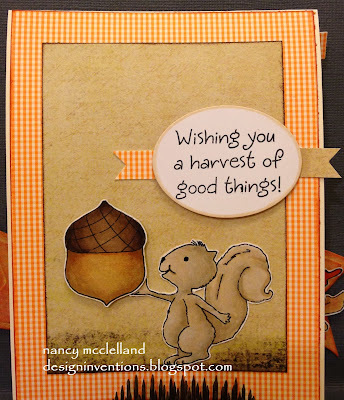 He would normally holding the Honey Comb acorn, but he works just fine holding the other one I colored. I hope you like my take on this project. Yes, that's true and there's no better challenge for me than this one. I absolutely love my DT duties at Hiding In My Craft Room. The challenges are so much fun and we have something for everyone. We also have a great sponsor this week that blessed each designer with goodies to use on our project. This weeks prize is a $20 Gift Certificate from Freckled Fawn. This is my card for the week and I used the great striped buttons and the fabulous yellow metal flower from my goodie pack. I came up with my card by cleaning off my desk, I had 5 Design Team cards due in one week and I had a great stash on my desk. I must admit that it was a very MESSY stash, but GOOD. 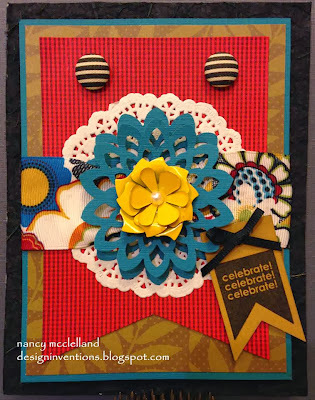 I picked the flower ribbon with the great colors and then just gathered several fun papers. I do have a problem with throwing stuff away, so I always have scraps laying around. If you know me very well, and follow my blog. this challenge is right up my alley. 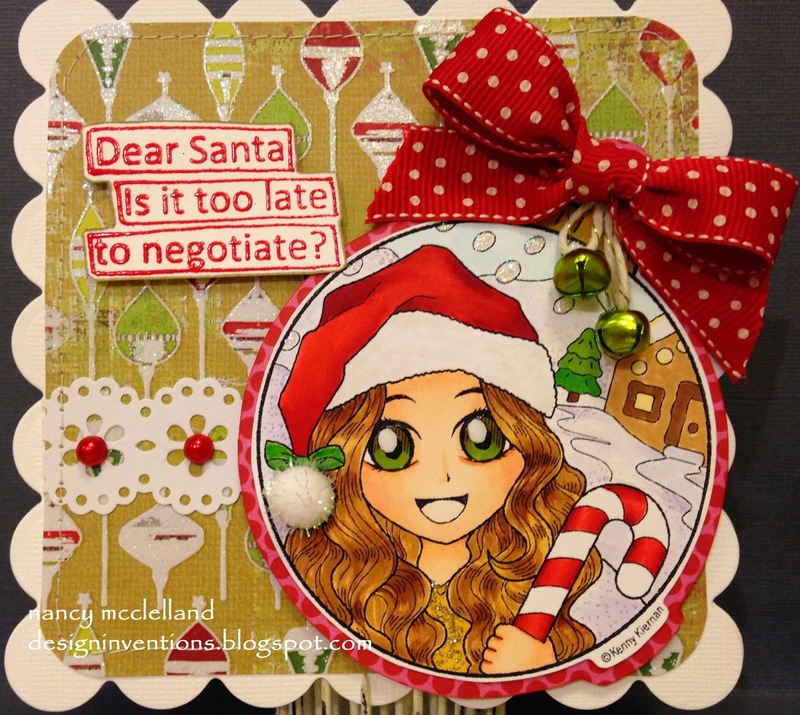 Love the way the card turned out and I hope you go over to the HIMCR blog and check out the fantastic projects from my fellow DT members. Very talented group. Thanks for stopping by today, and have a great weekend. Today at Creative Corner Challenge we are featuring 'Anything But A Card' projects. For some reason I have my weeks mixed up and I wasn't really supposed to have a DT project ready, but I guess I just wanted to get a head start on Christmas decorating. So today I have a wire Christmas tree to show you. 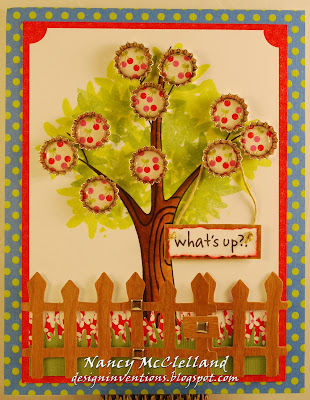 My sister and I saw a tree something like this several years ago at CHA and I have been looking for the supplies to make it. The original tree was bigger and had a pre-made wire tree base. I have not been able to find anything close, so I decided to take a stab at making my own wire tree. Well, it worked and I would make another one with a few modifications. I hot glued the wool felt balls onto the wire base and then wired the little jingle bells to the tree. Not sure I would use the jingle bells again, but might consider some sequins? Hope this inspires you to hop over to Creative Corner and see the other DT inspirations. Join us this week with your 'Anything But' creation. Ok, so I must say that I had a great time making this card. I have a drawer of Inky Antic HoneyPop stamps. I used to teach a class at my local scrapbook store until it closed. I used these stamps all the time for the HoneyPop classes and also for some basic Copic Marker instruction. I have been trying to find various ways to use these products other than a normal card, so today I have a step card to offer. Once again, I loved making this card and I hope you enjoy. 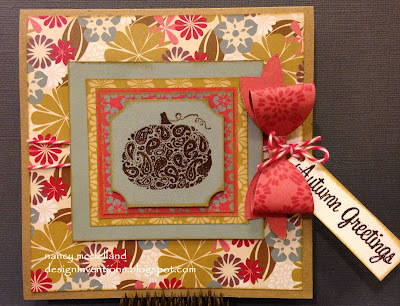 I have a paper pad from Hampton Arts, Autumn Flowers Collections that was the inspiration for this card. I love the muted tones and colors. This is a very simple card that has several layers and I topped it off with a basic pumpkin image. 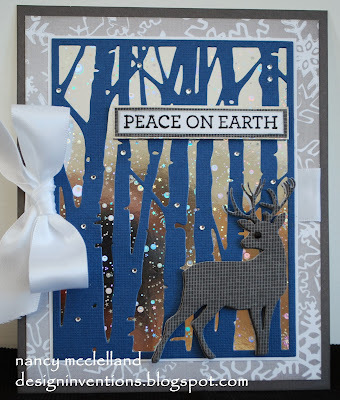 This is a top fold card and I placed the accent bow and sentiment on the right side. The bow was made from an Amuse Studio die. They have two sizes and this is the smallest of the two. I do suggest that you use double sided paper to make the bows. Thanks for stopping by today and if you need more information about this post, please contact me. I always know that fall is right around the corner when I start seeing all the Lady Bugs. They start to hang around outside and even manage to make it inside. I think they are catching a ride with the dog. Today I want to feature this Mo Manning image that reminds me of this time of year. 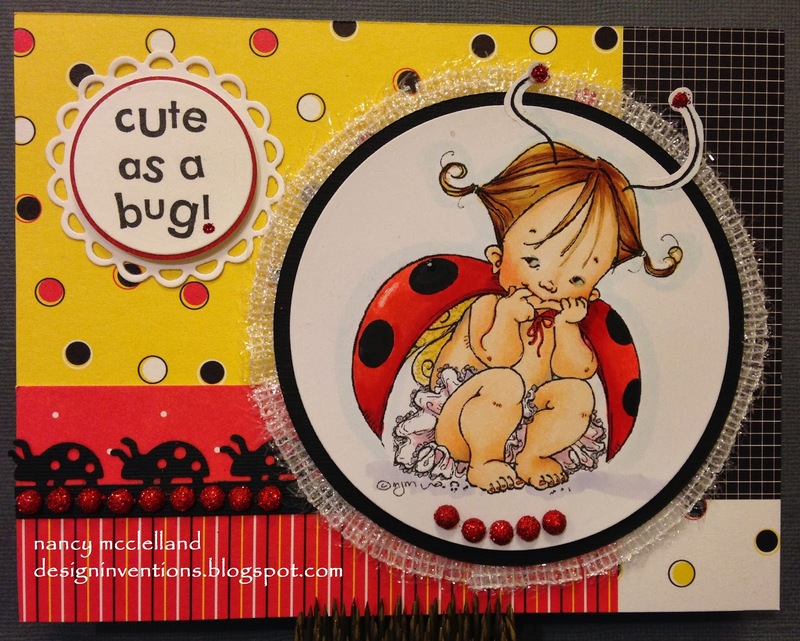 Now this little bug is way too cute and I love how the card turned out. Thanks for stopping to day. 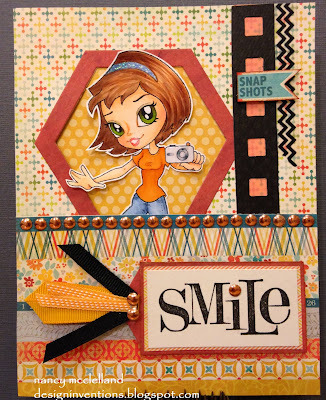 This is World 'SMILE' week and we want to share it with you over at The Outlawz. When I started to make this card I knew I wanted to use the Smile sentiment stamp, but needed to find just the right image. I decided to look at my digital files and came up with this image from Alicia. I have several images from Alicia and they are so much fun to work with. 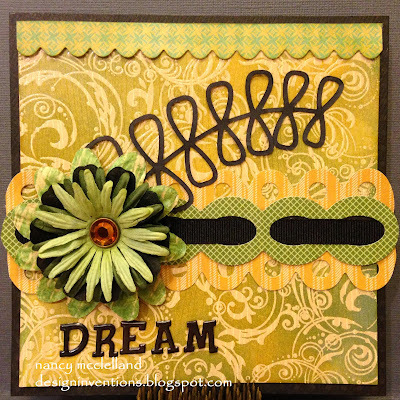 Hop over to The Outlawz and see all the inspiration from the Design Team. 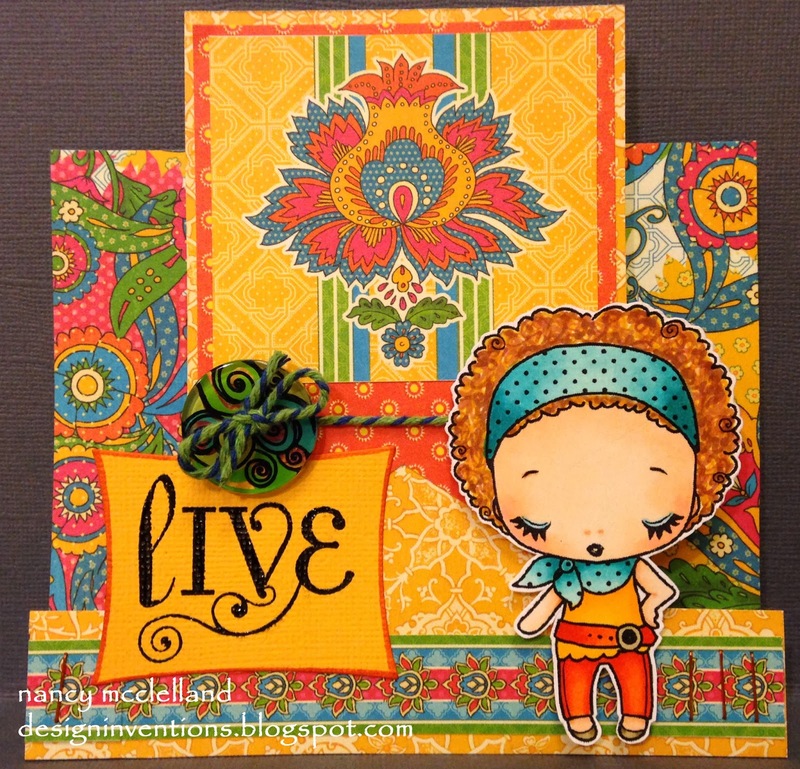 I love 'Anything Goes' challenges and that's what we have to offer you over at 613 Avenue Create this week. I decided to stick with the Halloween theme a little longer since it's still October, so here's my Design Team feature. This little guys has decided to take a nap while in the Pumpkin Patch. He's very cute while sleeping, but I have no desire to meet him in person. 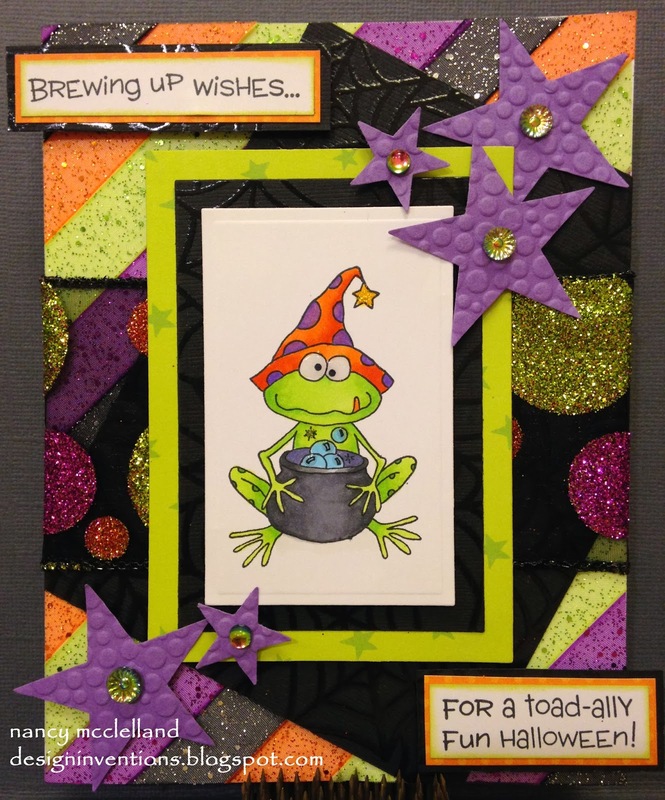 Hop on over to 613 Avenue Create, and see the other inspiration that team 2 has to offer. Hope you decide to play along. Thanks for stopping and have a great Sunday. I'm off to church. Its time for my first 'official' post for Hiding In My Craft Room. I mentioned last week that several of us started our DT duties a week early, but now I'm really on the team. 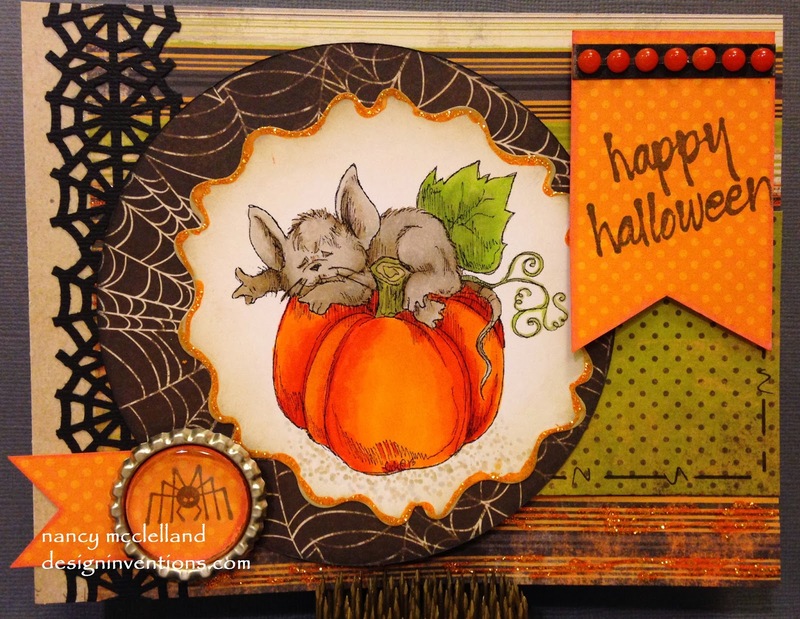 Our challenge this week is to feature Halloween colors, although you don't have to do a Halloween card. Well, I decided to stay with the Halloween theme and colors. I made the background with sparkle ribbon then added several paper layers. The image I used is from Inky Antics, Honeypop collection. I love this little frog and his brew! Today is that special day and I hope you are creating some masterpieces. I will be hosting an event today for about 12 people for card making, scrapbooking and sewing. We always have a great time when we get together and I'm sure today will be the same. Hopefully I will have pictures to share later. Find sometime to play today!! When you open the card you see the mummy which is a die from Sizzix .It took many cuts and you will have a few left over parts, but it was worth all the work. I finished up the inside using some leftover stick-on sayings of "trick or treat" or "happy halloween". I always find it interesting to use an image to create 2 different cards and compare them. Just how different do they look? This is more like fall with the leaves turning colors. 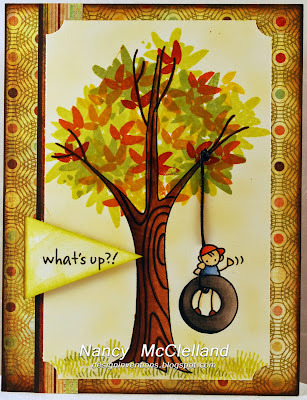 I love the little guy on the tire swing. It's already October and I just don't know where my September went. I believe the weather has played a big part in my lack of realization that fall is here. I've still been picking tomatoes and wearing short in the 80 degree heat, but believe that will change this weekend. I want to share a Zentangle pumpkin that I colored and then created a basic card for fall. Just a reminder that this Saturday is World Card Making day and hopefully you will take part in some way. I'm sure there will be many organized events and blog hops, so consider treating yourself to a crafting day.